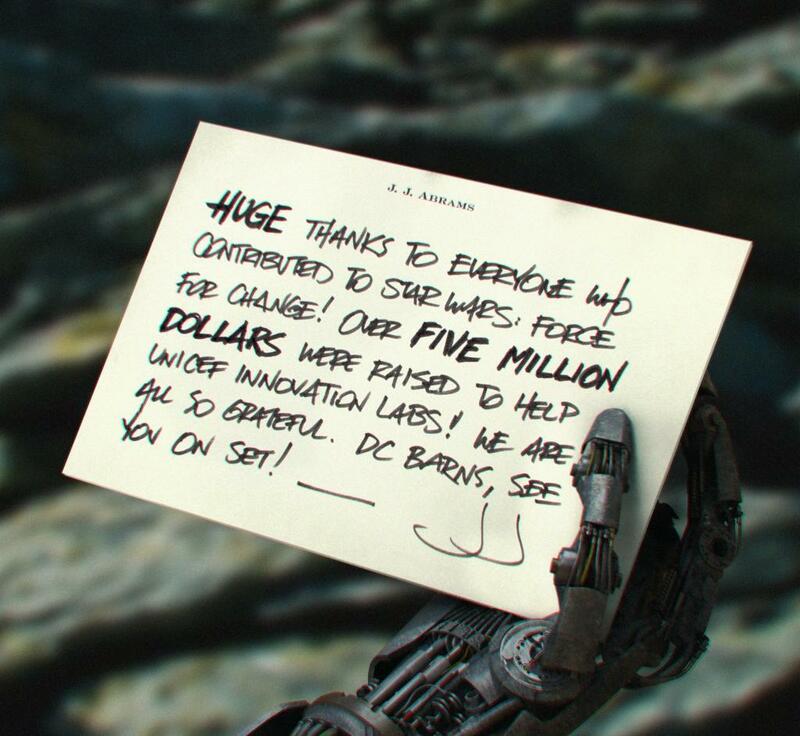 A picture of a robotic hand from Star Wars: Episode VII! After weeks of discussion about a certain hand rumor, I find this robotic hand photo to be interesting. The background doesn’t look unlike the location of the recent shoot at Skellig that consisted of Mark Hamill as Luke Skywalker and Daisy Ridley as her unknown character. That would imply it is Luke Skywalker’s hand if that’s the case. Perhaps this is the replacement hand Luke Skywalker has after loosing his original hand at the start of the film? Or it could just be a droid hand and that’s that. Either way, as Abram’s note states, we did a great thing supporting Unicef. DC Barns, take me with you!